Does my Auto Insurance Policy Include Car Rental Insurance? Chances are that when you purchased your auto insurance, the issue of coverage for car rentals was not on your mind. 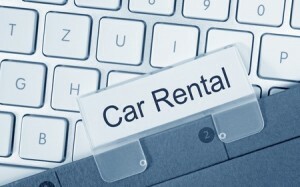 Now that you are traveling more for work, renting vehicles is something that you do regularly. While rental agencies do offer their own coverage, what about your own plan? Does it include car rental insurance among the many other benefits? The only way to find out if you already have car rental insurance bundled into your existing auto insurance is to read the terms and provisions in the policy. As you read through the terms, look for a section that specifically addresses renting vehicles of different types. If there is no such section in the policy, don’t assume there are no benefits. They may be included in the sections dealing with the liability, collision and comprehensive benefits. If you are the type who finds plowing through an insurance contract difficult, call your agent. A professional can quickly access a copy of your policy and point you toward the sections that are relevant to your questions. In many cases, you’ll find that you do have car rental insurance and it will protect you in most situations involving a rental vehicle. Once it is established that you have car rental insurance in your auto policy, the next step is to determine how much protection is provided. One of the things that rental agencies don’t mention is that the scope of coverage provided by your existing policy is often better than what they are offering. Since the cost of adding on additional car rental insurance fee per day can easily double the expense of renting a vehicle, you are essentially paying for something that does not equal what you already have in place. To verify which approach does provide the most coverage, work with your agent to determine what sorts of events are covered and what the maximum coverage is per event. For example, how much liability coverage does your plan provide for a car rental? If you or someone is injured in an accident, what sort of support can you expect with covering medical costs? Also verify what sort of support you would receive if the rental vehicle needed extensive repairs. Compare those figures to the ones associated with the car rental insurance offered by the rental agency. What you are likely to find is that your plan will come out on top. This is true even if the event in question is severe enough to require writing off the rental vehicle. Never assume anything about car rental insurance. Check your plan today and it could save money the next time you need to rent a vehicle for work or vacations. If you have any questions contact ARC Insurance today!